Colorado has been on my bucket list since forever!!! I really wanted to take the Mr. and get him out of town. He never has a bye week in October, but this year's break in football comes at the perfect time and I'm taking full advantage of the break in schedule. We're staying Friday night in downtown Denver. My husband loves Denver. Several people on IG recommended we eat at Snooze for breakfast so that's what we plan on doing Saturday morning. 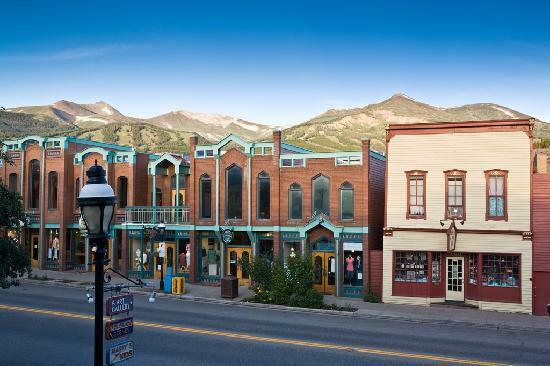 Then we'll head to Breckenridge and stay there Saturday night. I couldn't be more thrilled! Adam LOVES Breckenridge. We were planning on staying in Estes Park on Saturday because neither of us have been there, but we waited too long to book a room and so we'll just have to come back a different time :) There's a fall festival in Breck on Saturday and I'm dying to drive through the Boreas Pass. Aside from that, I don't know what else we'll be doing, but just being in Colorado will be enough!!! HELLO FALL COLORS!!! And maybe some snow capped mountains, too?!?! Have you ever been to Denver or Breckenridge? Are there any "must-do's" while we're there?!? Before I share one of my favorite breakfast recipes, I wanted to say 'thank you' for the haircut suggestions!!! I ended up going in yesterday and getting it cut shorter with a little touch of ombre. I forgot how much I love short(er) hair!!! 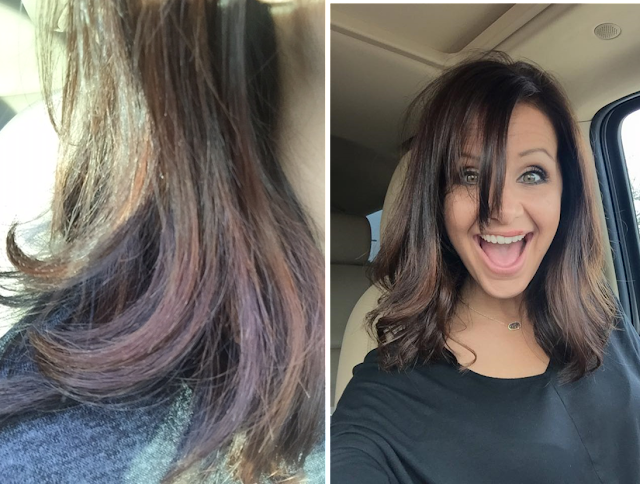 My stylist went with the same light brown on the top layer and then black on the bottom that we always do, but she added some caramel to the bottom to give it some dimension. Next time we'll go a little lighter with the ombre and add a little more. For now, I'm in love! PS...I hate selfies. SO awkward. When my oldest saw my new 'do, he started crying. Not full blown bawling, but he teared up and his voice started to quiver. "Mom..you look really beautiful all the time, but I prefer you with longer hair. How long will it take to grow back???" I was NOT expecting that at all! LOL!!! My husband didn't cry, so I take that as a win :) Bless. I guess the whole "men love long hair" starts at a young age. SMH. Now let's move onto something more interesting. And appetizing. How about breakfast?! I'm not a huge breakfast person. I usually drink my large Sonic Red Button Roast until about noon and then go straight for lunch fare. When I am in the mood for breakfast, I usually stick with my favorite PBJ Oatmeal. 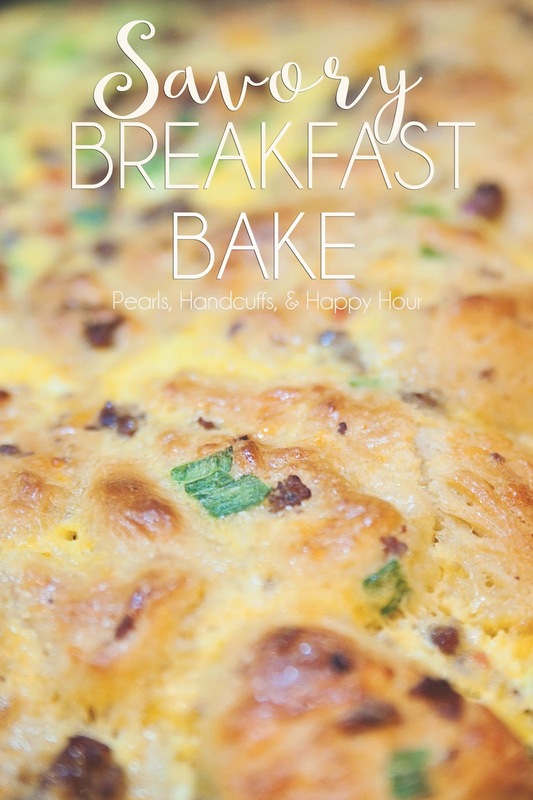 When we're hosting overnight guests, breakfast is a must. The most amazing cinnamon rolls will likely be on the menu paired with something a little more savory for good measure. 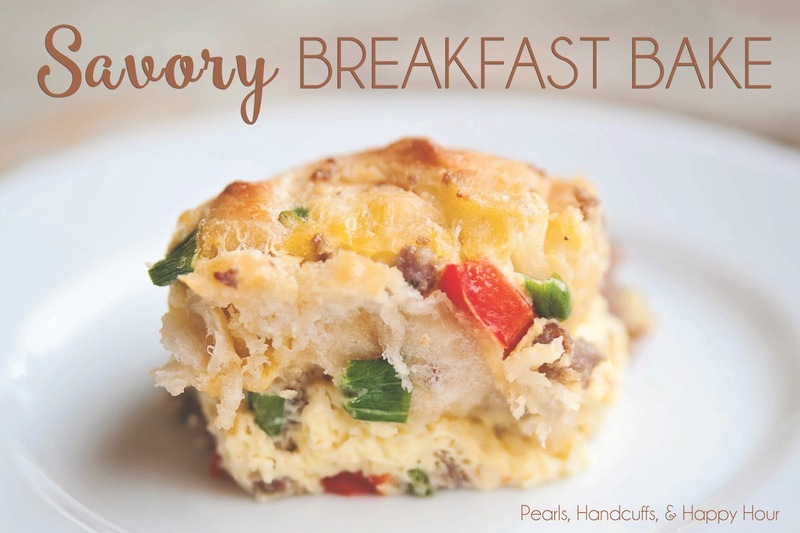 I pinned this savory breakfast recipe on Pinterest months ago and couldn't wait to try it out and jazz it up. Now Mr. Spouse is requesting it on a weekly basis. Looks like we won't be waiting for overnight guests to make a delicious breakfast anymore! Let's start by preheating your oven to 350. In a large bowl, whisk together eggs, half & half, and your Tony Chachere's. If you're not a fan of Tony's, I'm sad for you. Just kidding...sort of. But seriously...if you're not a fan of that seasoning, you can omit that altogether. We like a little spice in our life and this particular seasoning is our favorite. It definitely adds another layer of flavor and it pairs really well with this dish! It packs a little punch, so use it sparingly if you like things on the milder side. I think I used about a teaspoon, give or take. Now take your biscuits and cut each one into quarters. Kitchen shears are perfect for this task! While you have your kitchen shears out, cut up your green onions, too. Toss the cut biscuits and green onions into your egg mixture and set aside. Brown your sausage and toss in the yellow onion and bell pepper to soften those up...unless you don't mind crunchy veggies. REmove from heat and drain. Now take the sausage/onion/pepper mixture and combine it with the biscuits and eggs. Stir well to combine. Toss the cheese into that same bowl and mix again. At this point ALL of the ingredients mentioned above are mixed together in the same bowl. 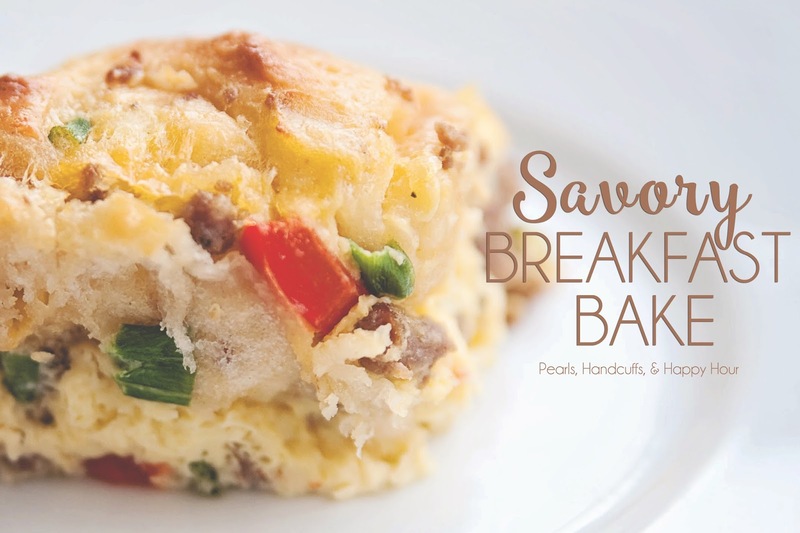 This is a perfect meal for a crowd and isn't too bad served as a leftover breakfast the following morning. We had a little bit leftover when we originally served this, so we popped it in the fridge and pulled it out the next morning to reheat (in the oven at about 250 until heated through). Of course, it's the most amazing when served fresh out of the oven the first go 'round, but it reheated really well and tasted pretty darn delicious the next morning, too. And as my husband has requested, this will be served again SOON!! Colorado is on my Bucket List, too! I will be asking your for suggestions when we finally get to go ;) And, I LOVE your hair! The color is perfect! Little Man Ice Cream! You won't regret it! Have the best time and enjoy fall in the mountains! I'm always looking for a good breakfast casserole for when my parents come visit. I may have to give this one a try because it looks yummy! Thanks for the recipe. We moved to CO about a year ago- you'll love it and fall is the best time in my opinion. 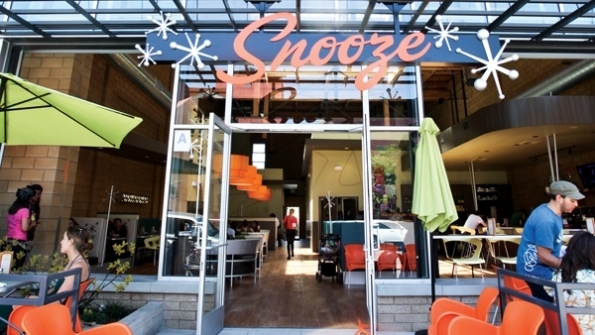 Hopefully all the people who suggested Snooze also told you to get there early or the line will be long. Have a great time! Your hair looks sooooo amazing! I love your blog & your recipes! My 2 kids don't always like what I'm serving up for my husband & me... So I wonder, what do you feed your boys when they don't care for the planned meal? Thanks!!! Vesta Dipping Grill is a must in Denver! Breck... Cool River Cafe and Daylight Donuts for breakfast. Breckenridge Wine & Chocolate is a wonderful little place that pairs wine and chocolate. Owner is an olympic mogul skier and retired in Breck. It is off of main street, but down one of the alleys so you have to look for it. Relish is a great little place, but service can be slow depending on time of year. Hearthstone is amazing. Their Colorado rack of lamb is the best! It's actually not on main street but just a couple of blocks past it (cute blue victorian style house). Briar Rose has excellent steak and good drinks too (it's actually a saloon). Giampietro is a great little pizzeria. If you're feeling adventurous, you should try a fourteener...Quandry is a great one :) Have fun!! Love the hair! I did something similar with my hair a few weeks ago, and still love it! :) My mom makes that breakfast casserole (but with french bread pieces instead of biscuit dough) and lets the casserole sit in the pan overnight for our Christmas breakfast. DELICIOUS! Enjoy Colorado! I'm a **Little bit** jealous!! I love your hair color... I am due to go this week. I think I am taking your pictures and idea pictures along. I have similar color hair too. Yeah... hope it's a go. Love your hair! And ha ha about Tony's. I was raised on it and use it in lots of recipes. I find it crazy that most of my friends have never heard of it! !